I had been lusting after NYX products for a while so when hubby put the best present ever in my birthday card (money ha!) I knew NYX was my first port of call! I always hear a lot of good things about their lipsticks so decided to pick up a few lip products. 2 lipsticks and a lip liner. Red is a colour of lipstick that I do love so I am trying to edge my way more into them safe to say have now found 2 new to add to my collection. Lipsticks are really difficult to order online as the swatch or picture of the shade is usually way off so I was a little worried when I ordered these and even with multiple Google searches when these arrived I was still a little surprised as to what they actually look like in person. 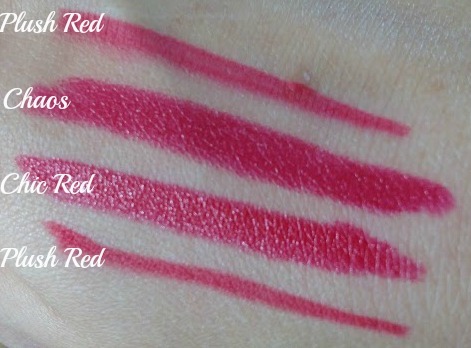 First is NYX Chaos which looks really dark deep almost burgundy in the bullet but actually it’s really a deep berry red. It is still darker than a true red but compared to the bullet I feel the colour is totally different.This lipstick has a lovely creamy formulation and has a nice shine to it. Teamed with the plush red lip liner this lasted so long on me. 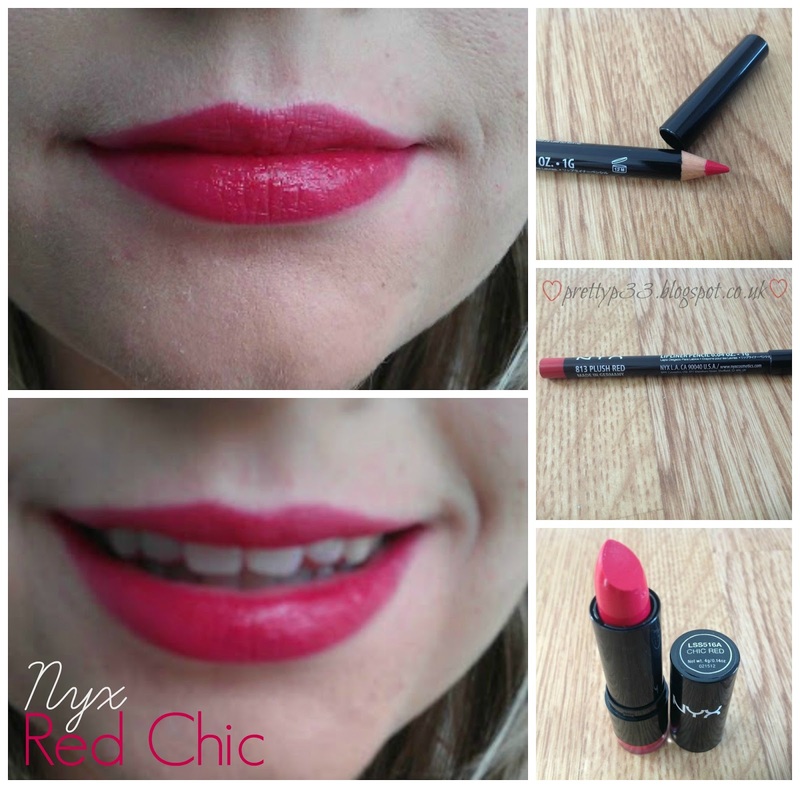 NYX Red Chic is more of a classic red and in this picture it looks more pinky red but in real life it is more red than pink. Again paired with the plush red lip liner this lasted really long on me. I would purchase more NYX lipsticks in the future as the shade range is huge and the quality of them is amazing for the price! For £4 you really do get something amazing. 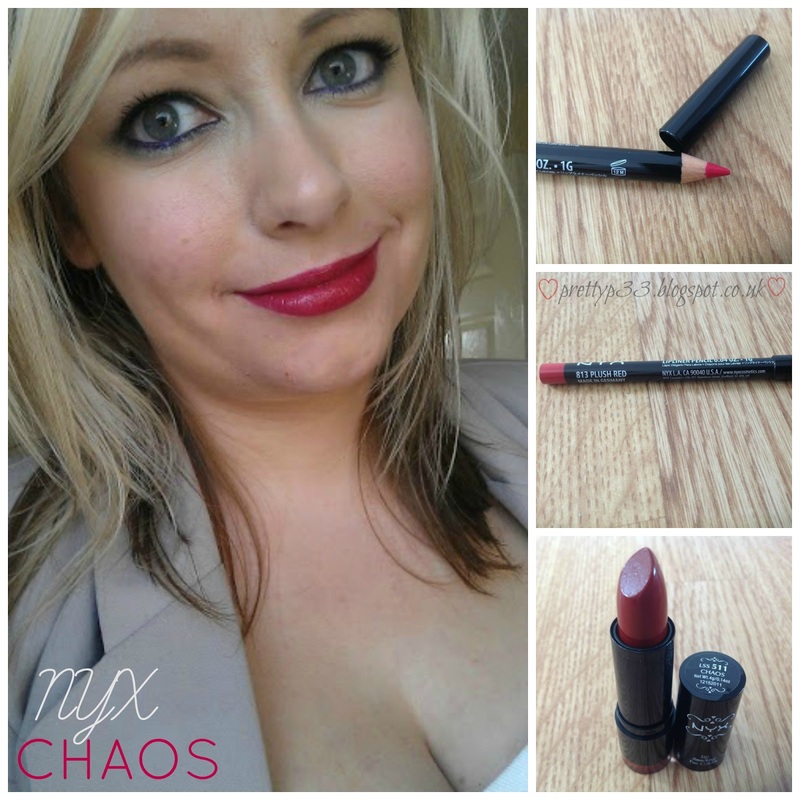 These didn't dry my lips out or emphasise any imperfections which is always a good thing!